As we observe the Universe, the Earth, and the amazing human body, it is easy to conclude that these things could not have occurred by accident. They are, in fact, the product of an intelligent Creator. But what kind of Creator? What do we really know about Him? Does He really care about His creation? What is He like? Can we know Him? And where can we go to find the answers to such questions? 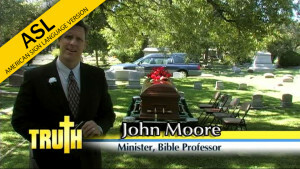 The viewer is guided by John Moore (host) and Michael Fehmer (American Sign Language interpreter) in understanding what the Bible says about Christ's church. 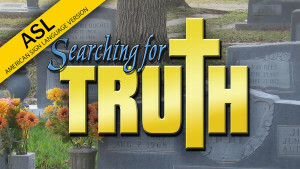 Searching for Truth is a video program (study guide also available) that introduces the very foundation of Christianity...the Gospel. 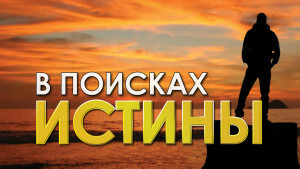 It is designed to teach what one needs to know to become a Christian. 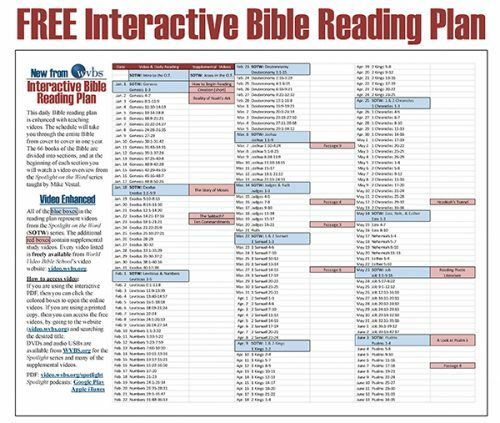 The viewer is guided by John Moore (host) and Michael Fehmer (American Sign Language interpreter) in understanding what the Bible says on about the Gospel. Did you know that on the average, 107 people die every minute? That's a staggering number. As much as we might like to go on living, all of us will face death. But what happens to us when we die? Does life after death exist? If so, what kind of life? Does heaven exist? Does hell exist? And if so, what will happen to you when you die? More important, will it matter what you believed or how you lived in this life? In today's religious world, there is a great deal of debate about what is right and what is wrong. 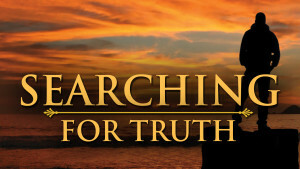 When it comes to matters of faith, there are a number of differing viewpoints. But which one is correct? And who determines what is right? Who gets to make the rules? Who or what is the final authority in religious matters? Is it the church, the Bible, a creed book, or a council of scholars? 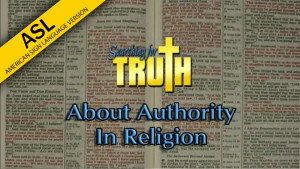 Who, or what, has authority in religious matters? In other words, who makes the rules? And where can we go to find the answers? Interpreted into American Sign Language by Michael Fehmer. 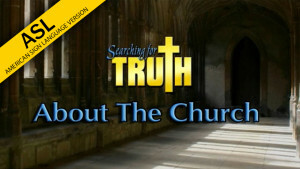 The word church is used well over one hundred times in the New Testament. It is obviously a very important word but what, exactly, does it mean? Is the church merely a place for worship? Is it the sum of all the religious denominations? Or, is it something more personal and spiritual? And furthermore, how important is the church? And, does Jesus have a church to which we must belong in order to be saved? The viewer is guided by John Moore (host) and Michael Fehmer (American Sign Language interpreter) in understanding what the Bible says about Christ's church. Most people in the world live in some kind of house or dwelling. Those houses come in all shapes and sizes, with different floor plans and layouts, and furnished in a lot of different ways. Yet each home is precious and unique to its owner. 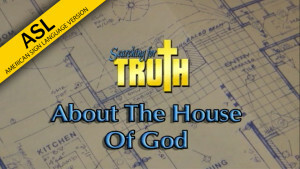 But have you ever wondered whether or not God owns a house? And if He does, how could we recognize that house if we were to go in search of it today? The viewer is guided by John Moore (host) and Michael Fehmer (American Sign Language interpreter) in understanding what the Bible says about Christ's church. In today's world, there are many differing viewpoints about baptism. Some say that babies should be baptized,while others say that it is reserved only for adults. Some believe that baptism is necessary for salvation, while others do not. 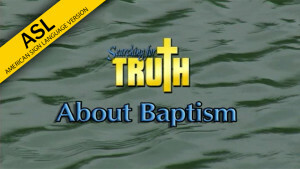 What is the truth about baptism? Have you ever wondered about whether or not you needed to be baptized? And, if you have been baptized, was your baptism for the right reason as described in the Bible? The viewer is guided by John Moore (host) and Michael Fehmer (American Sign Language interpreter) in understanding what the Bible says about Christ's church.